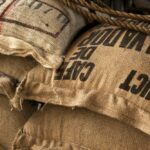 FLASH SALE Quickly SAVE BIG on Green Coffee Beans or Fresh RoastedSmokin'Beans Coffee Co.
How long will the flash sale last? * Shop today! The flash sales are for a very limited time only! Roasted drop-down * Click the down arrow beside ROASTED to open a list of roasted coffee beans options. 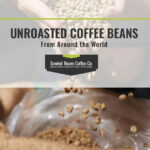 Unroasted drop-down * Click the down arrow beside UNROASTED to open a list of unroasted green coffee beans options. 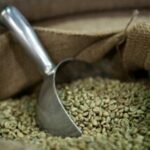 Low commercial rate wholesale pricing on green coffee beans and fresh roasted beans. Zone/weight based shipping saves you money on multiple item/large quantity orders. No coupons needed to get the best rate. Simply add items to cart and checkout it’s that easy! SAVE UP TO 40% OFF RETAIL BY USING OUR SUBSCRIPTION OFFERS! – PLUS IT IS SO… CONVENIENT! WANT TO SAVE EVEN MORE? * SIGN-UP FOR FREE ADVENTURE CLUB MEMBERSHIP DEALS! Looking for even more savings? * Adventure Club membership offers huge savings! How do I sign-up? * By using our free sample program or by the sign-up option at bottom of the website. What am I signing up for? * You will receive a weekly email with coffee news, valuable coupons, and/or free offers. What if I don’t like it? * No problem, you can always opt-out at any time! A CHANCE TO WIN FREE COFFEE * STAY SUBSCRIBED FOR A CHANCE TO WIN! How do I win free coffee? * Subscribe to our Adventure Club emails! When is drawing? * Drawing is once a month from the email subscriber list. How will I know if I win? * Winner is notified by email. GET A FREE SAMPLE! 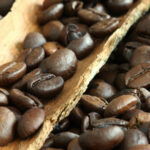 * CHOOSE A FRESH ROASTED SAMPLE OR A GREEN COFFEE BEANS SAMPLE! Select Get Your Free Sample from the top left corner of the website.